One of the cool things about blogging is you never know where on the planet the next visitor is going to pop in from. This week Iracema Forte Caingang signed up to follow IADW with the passport feature (left), all the way from Brazil! 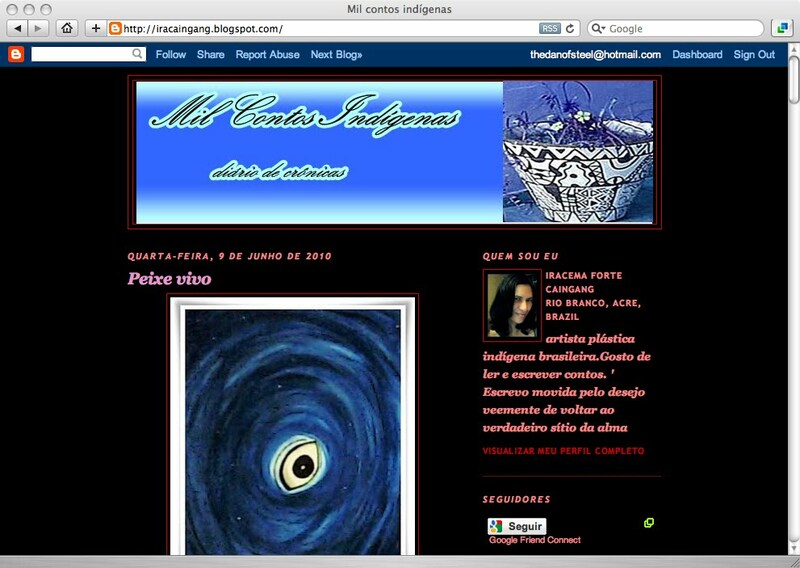 Her own blog; Mil contos indigenas (Thousand aboriginal stories), features allot of great art gathered together in one handy location! Boa vinda a IADW Iracema!